Many jailbreakers love to make their device stand out from others with themes and such, but colored keyboards is one of the most unique things you can tweak on your device. 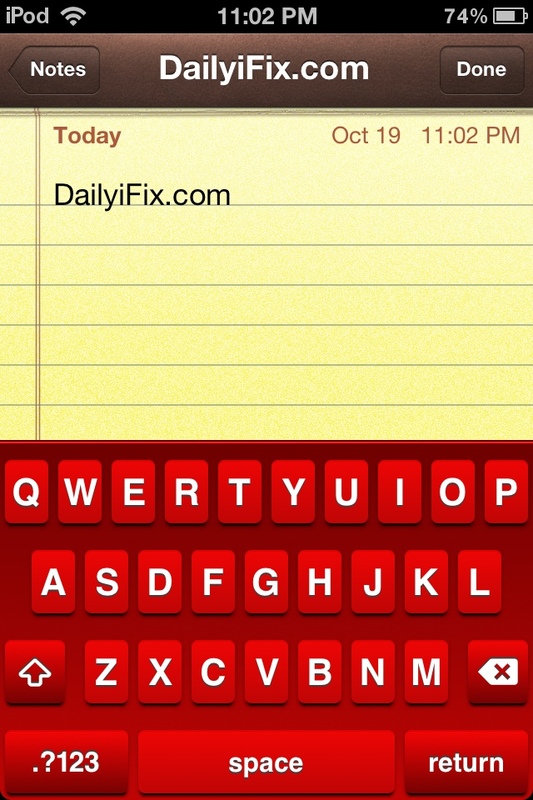 A popular tweak has just been updated for iOS 5 – this tweak is called Color Keyboard and is now compatible with iOS 5. Colored Keyboards have been a subject of interest for a long time among jailbreakers but has not worked correctly on previous firmwares; well it does now on iOS 5. This tweak allows you to change the base color of the keyboard, the popup key, allows for custom backgrounds on the keyboard, and allows for borders around the keyboard. This tweak definitely allows you to show off a personality through your device by adding different colors combinations to your keyboard. To get this tweak, you obviously need to be jailbroken on iOs 5, if you have not jailbroken yet, take a look at my jailbreak guide for iOS 5. After this, you just need to simply open up Cydia and do a search for ‘Color Keyboard’. The tweak is available on the Big Boss repo and will cost you $1.99. 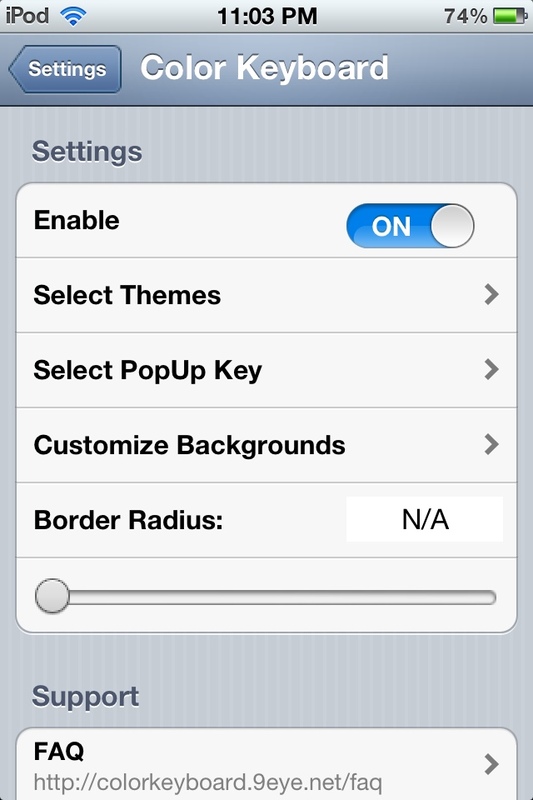 Some screenshots of the tweak’s settings can be seen below.